It’s almost that time of year again…Madi Gras! The time when people celebrate debauchery before going home and pretending they’ll never do it again. 😉 While it’s not something I participate it, I do love the masks that come out for the festival and in that spirit, want to show off on cosplayer’s excellent home made mask. 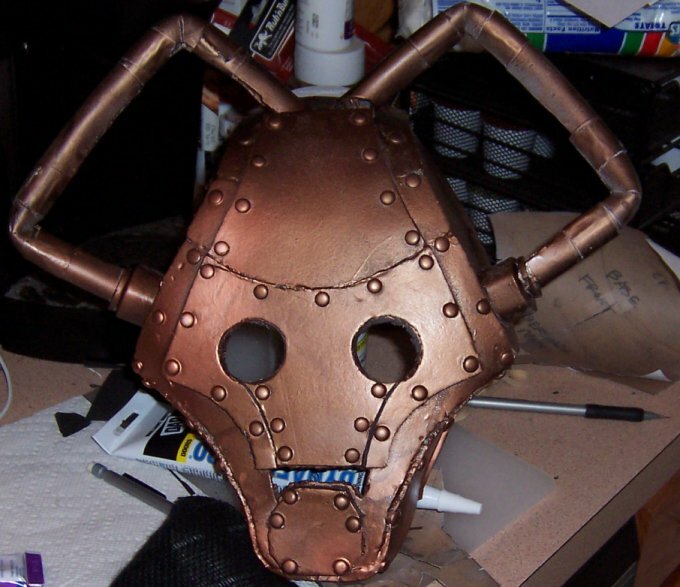 Made by The Clockwork Coyote, this mask is an excellent low cost recreation of the mask worn by the Cybershades in the Doctor Who episode, The Next Doctor. The majority of the mask is made out of microcell foam with the whole mask receiving a healthy coat of copper spray paint to finish it off. Some of his edges could be cleaned up a bit, but overall I found this to be a great recreation that wasn’t going to weigh you down while wearing it. What sort of masks do you like? Let me know in the comments!